AZUR pleasant south facing chalet, in residence with heated pool, city stadium, bowling. In the heart of the Lande, 10 minutes drive from the ocean. Bike path to enjoy the undergrowth. Ideal for family vacations. Layout: living room, lounge, kitchen, pantry, bedroom bed 140 and dressing room, bathroom, shower, bedroom cabin 2 bunk beds 90, separate toilet, covered wooden terrace. Garden. In the residence, covered heated swimming pool, open from Easter to Toussaint, city stadium, bowling, children's playground. Residence closed by electric barrier. WIRELESS. 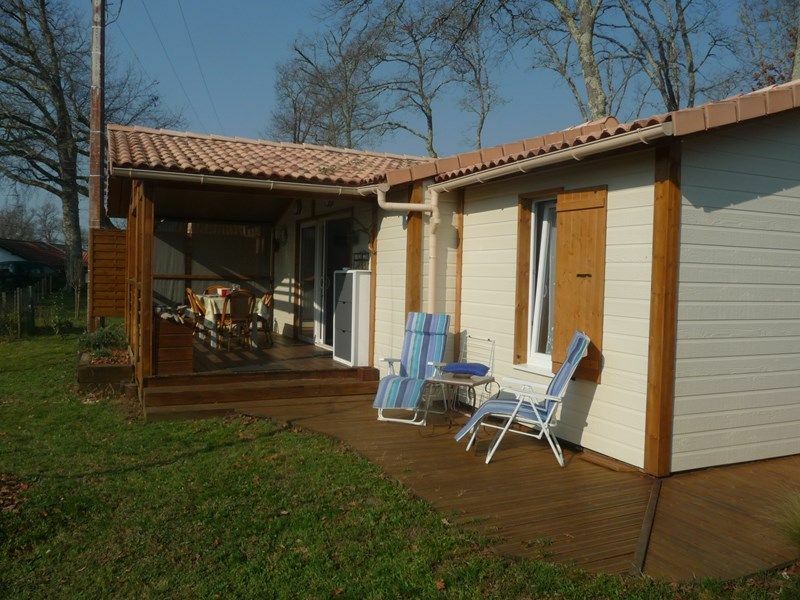 Chalet récent ,propre sans vis à vis dans parc residentiel calme avec piscine. Pas loin des lacs et de la mer.